Repairing damaged weak spinal discs. Repairing injured and damaged joints like knee, hip, shoulder and spinal joints. PRP and stem cell injections treatments are both safe and administered to the joint under local anesthetic with no complications. The patients can then resume work the same day with no downtime and quite often with dramatic change in pain relief minutes after injecting. PRP and Stem cell injections work by injecting growth factor which is taken from a small blood sample of the patient. The growth factor is prepared and activated in our lab and then injected above the damaged tissues. There is no foreign body added to the growth factor and so no side effects. You can expect an immediate effect due to the strong anti-inflammatory effect of growth factor. The long term effects are progressive improvement of the damaged or injured area by the persistent preparing effect of the stem cells. Usually one dose is enough and sometimes in 50% of cases a second booster does may be needed 4 weeks later depending on patient outcome and response to treatment. Dr. Ashraf Shatla had practiced as a Neurosurgeon since his graduation from Edinburgh University in 1990. He practiced his specialty as Consultant Brain & Spinal all over “Europe, Canada, USA and Middle East. Dr.Shatla’s work has extended to a new era of functional neurosurgery using recent neuronavigation and stereotactic surgery, allowing the most accurate and precise techniques for brain and spine surgery and for recent minimal invasive spinal procedures for spinal pain, endoscopic discectomy for back and neck pain surgery. 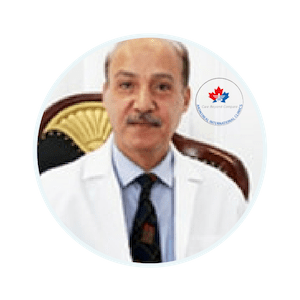 Dr Shatla spread his expertise in Neuro – Spinal field in the Middle East Healthcare industry and recorded a genuine success in treating patients, adults and children with amazing results in 2011.